Dharma Drum is represented (by Rebecca Li) on the cover of Lion’s Roar, one of the major Buddhist magazines in the English-speaking world (previously known as Shambhala Sun). 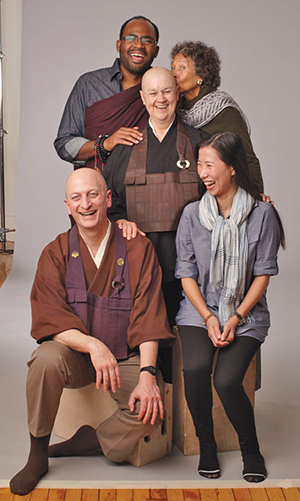 In this premiere issue of Lion’s Roar, the editor invited Rebecca Li along with thirteen Dharma teachers from various Buddhist traditions (Kate Johnson, Norman Fischer, Sharon Salzberg, Anam Thubten, Reverend angel Kyodo williams, Roshi Pat Enkyo O’Hara, Lama Rod Owens, Sylvia Boorstein, Geoffrey Shugen Arnold, Gina Sharpe, Ethan Nichtern, Larry Yang and Josh Korda) to be in the tri-fold cover photo. This entry was posted in News and tagged Rebecca Li. Bookmark the permalink.